Our House Call Vet will be held on May 2nd. 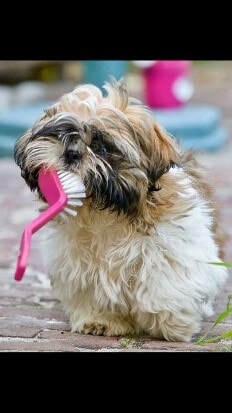 Get your pets teeth scaled and polished at a fraction of the price, since the pet is not put under anesthesia. For new clients, please fill out the registration form at www.ourhousecallvet.net For existing clients, please e-mail us at ourhousecallvet@aol.com. Limited space! Reserve your appointment now!!  It is with a heavy heart that we had to say goodbye to Belle today. She will always be my favorite Rottweiler. When we first met her, she would try to growl and bite. By seeing her routinely for visits in her home, she soon began to love us. She no longer needed a muzzle, and she actually would give us kisses, and wag her tail profusely when we came in to see her. There was one day, where we think that she went down and wouldn't get up, nor would she eat; just so we would rush over to see her and give her a walk and a meal! She had the good fortune of having a wonderful elderly owner. Belle meant the world to her owner. She stole my heart, and now my heart broke today saying goodbye to her. My heart also aches for her owner, since Belle meant so much to her, and that was her loving companion during the owners own health issues. 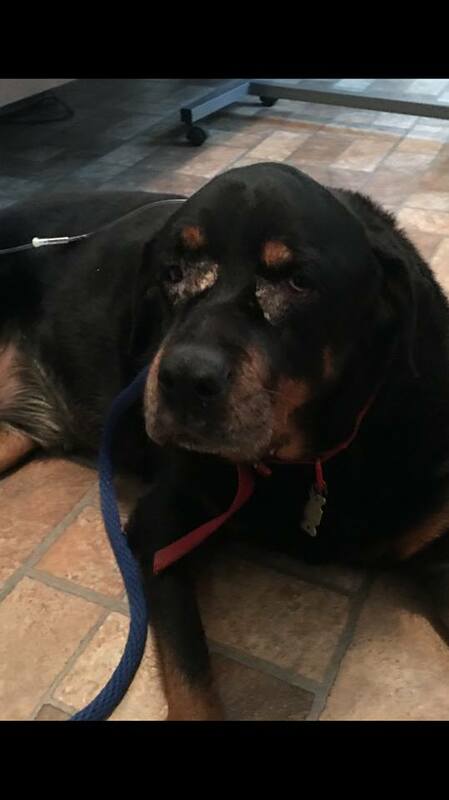 We love you, Belle, and we will see you again on the other side of the rainbow bridge  Anytime we see a Rottweiler, we will think of you pretty girl. 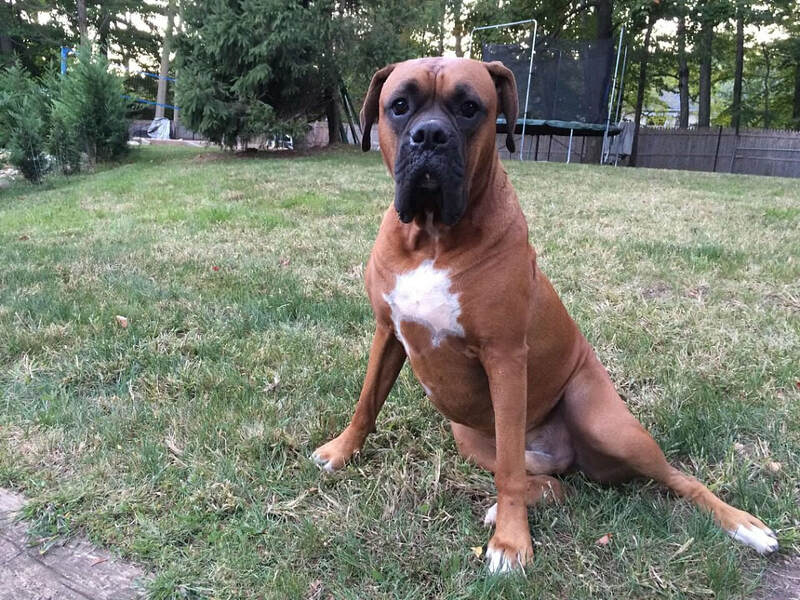 In loving Memory of Titan, who crossed over the rainbow bridge in the comfort of his home. He wagged his tail when he greeted us, and looked at us with the most amazing, gentle eyes that would make anyone fall in love at first meeting. He had a great life, and a peaceful crossing over. One of his favorite things to do was to chew....and eat... squeaky toys. He also had a sense of humor. When the neighbors child would sing, he would howl in harmony! He had a lot of friends, and will be truly missed. RIP sweet boy! Lauren has been part of the Our House Call Vet family since Spring of 2016. 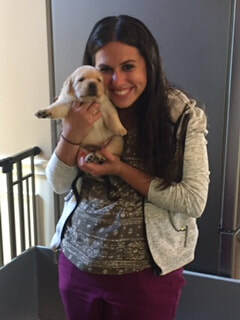 As a member of the office staff she loves it when she gets to meet some of the furry patients. She says, "You can never get enough puppy love!" How to Apply Eye Drops to Cat's Eyes. Where have you gone my little friend? I look Can't find you anywhere. You're safe with us, inside. Look for you every day. When I go there, I yell. So did the human dad. When there I lay my head. Won't even eat your food. Nails should be clipped about once a month. Make sure you have good, sharp nail clippers and Quik Stop powder in the event that you get a quick.